A UK village which raised £37,000 to offer 200 homes the super-fast broadband that BT could not deliver has launched its network. 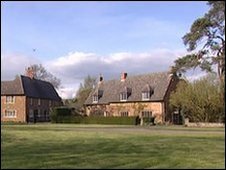 Rutland Telecom will offer the residents of Lyddington speeds of up to 40Mbps (megabits per second). Other telecom firms had said it was not economical to provide fast services to the village. Getting fast broadband to rural areas is back in the spotlight as the government shelves its funding plans. It is estimated that around 2.5 million homes in the UK cannot get broadband speeds of more than 2Mbps. The Rutland Telecom scheme was a joint effort between villagers fed up with slow broadband speeds and a local ICT firm that was reselling BT's broadband. They discovered that there was nothing to stop them becoming a telco. "We found that any company could do, on a smaller scale, what Carphone Warehouse has done and take over BT's network," said Dr David Lewis, managing director of Rutland Telecom. 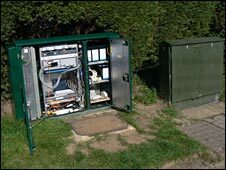 They asked Openreach, the BT spin-off that has responsibility for the UK's telephone network, to supply fibre-optic cable to a street cabinet in the village. It was a slow process and required the intervention of regulator Ofcom but two years later the telco is up and running and already has 50 customers. "For the first time in UK telecommunications history the telephone lines of customers are completely cut off from the local BT exchange," said Rutland Telecom director Mark Melluish. BT said it was "delighted to help Rutland Telecom" although it added that it hoped it would allow other service providers access to its new network. "Otherwise there is the risk of a local monopoly developing, which is never good for consumers," said BT Group Strategy Director Olivia Garfield. Rutland Telecom has been approached by 40 other rural community groups to see if a similar solution is possible in their area. It is on the verge of launching similar schemes in neighbouring Leicestershire and one in Wales. The government has pledged to offer all homes a minimum speed of 2Mbps (megabits per second) by 2012. But critics say these speeds are far too slow for the ever-increasing demands of web users. There are concerns that up to one third of the country will not be served by next-generation broadband - offering speeds of over 25Mbps. For commercial firms such as BT and Virgin Media fibre rollouts in rural areas are not cost-effective. In their place community solutions are springing up and it is estimated that there are 40 such schemes currently laying fibre or planning to do so. Daniel Heery is involved in laying fibre to 1,000 homes in Alston village in Cumbria. The network will offer speeds of up to 100Mbps when it is completed later this year. 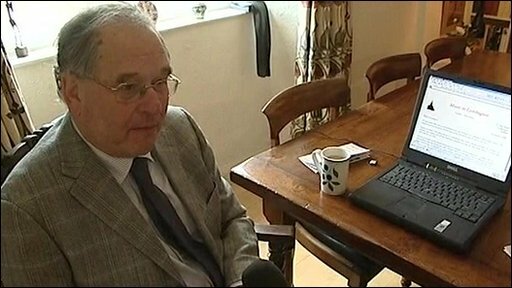 He welcomed the privately-funded Rutland scheme. "Different approaches will work in different areas and we will have a patchwork quilt of different technologies," he said. The endgame for Mr Heery is to offer fibre all the way to homes but he acknowledged that he relied on public funds for this. In the North Yorkshire village of Newton-on-Rawcliffe, the solution to slow broadband has come via fibre supplied to the local school. The 140 villagers will benefit from the fibre link via a wireless connection. The fibre has been supplied by NYnet, one of Europe's largest public-sector funded broadband infrastructures. But public money, often supplied by regional development agencies, is fast drying up, according to Mr Lewis. The government had proposed to raise £170m a year via a broadband tax, which would have seen all households with a landline phone charged an extra £6 a year. The money would have been used to fund broadband to rural areas but the Tories opposed the tax and it was shelved in last-ditch negotiations to get the Finance Bill through parliament before the general election. The Country Land and Business Association (CLA) has been one of the most vocal critics of the lack of government investment in broadband. It welcomed the Rutland Telecom launch but called for the next government to reassess the need for publicly-funded broadband rollouts. "Without that money the rural/urban digital divide will extend and that will have a significantly adverse impact on the economy," said CLA's Dr Charles Trotman. Comedian and technology enthusiast Stephen Fry went to school in the neighbouring town of Uppingham and welcomed the Rutland Telecom launch. "It has always been a frustration that fast, reliable broadband service has always been hardest for those who most benefit - those in the countryside," he said.